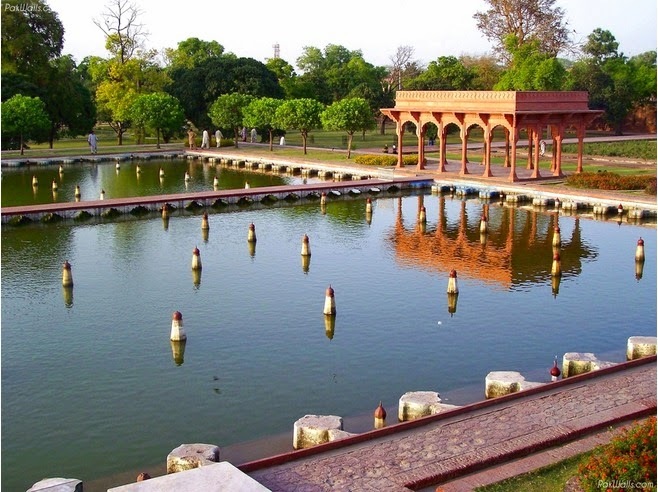 The Shalamar Garden, also written Shalimar Garden, was built by the great Mughal emperor Shah Jahan. Construction began in 1641 A.D. and was completed in a year. A canal joins the middle terrace into a large marble basin. From this basin and from the canal, rise 450 fountains which throw up water that is subsequently received into marble tanks. The channels of water that weave through the whole garden are fed by this canal. The gardens contain white marble buildings in typical Shah Jahani style. 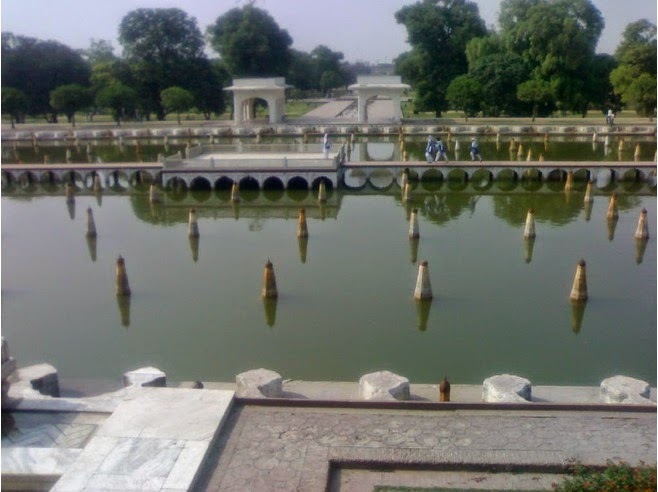 The Shalimar Garden was gifted by King to "Mian" family and remained under this family more than 350 years, till then were among the best preserved Mughal gardens. It has been included in the UNESCO World Heritage Sites List along with Royal Fort of Lahore. in danger. The site has been listed as Endangered since 2000.